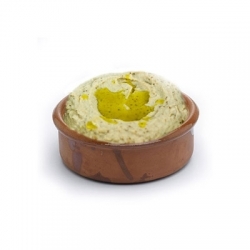 Hummus or Baba Ghanouj ? 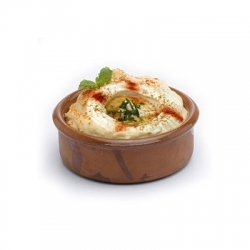 Mashed chickpeas dip or charbroiled eggplant puree? Vot-e neither endorses nor opposes any of the brands or protagonists mentioned in the votes. It is merely letting people express their opinions by voting or leaving comments using existing social networking tools (Facebook, twitter, etc.) in regards to products, people or services available in the public domain. Poll results are based on the votes cast by users of above mentioned networks, who decided to cast in their votes, and/or post comments. Poll results reflect the opinions of users who chose to participate. Poll results are reflected in real time, however are not to be taken as a scientific or a reason to buy or refrain from buying a product or service mentioned in the vote. It is adviced that people make wise choices based on common grounds and not following the results from votes. The photos used on Vot-e are either from open source, in the public domain, or brand logos and trademarks displayed following the “fair use” guidelines to illustrate the subject matter. If you own the copyright of a displayed photo and wish for it to be removed, please contact us and we will remove it as soon as possible.